When you're first getting started, one of the most difficult decisions to make is which rod to pick for fishing tuna when using either artificial topwater or jigging lures. When deciding what to buy, you're sure to have loads of questions, so this article is intended to help make your choice as simple as possible. The Bloody Popping series is the best example of field work behind our rods. Three models which adapt to the different tuna spinning fishing needs on our coasts. The smallest of the range. 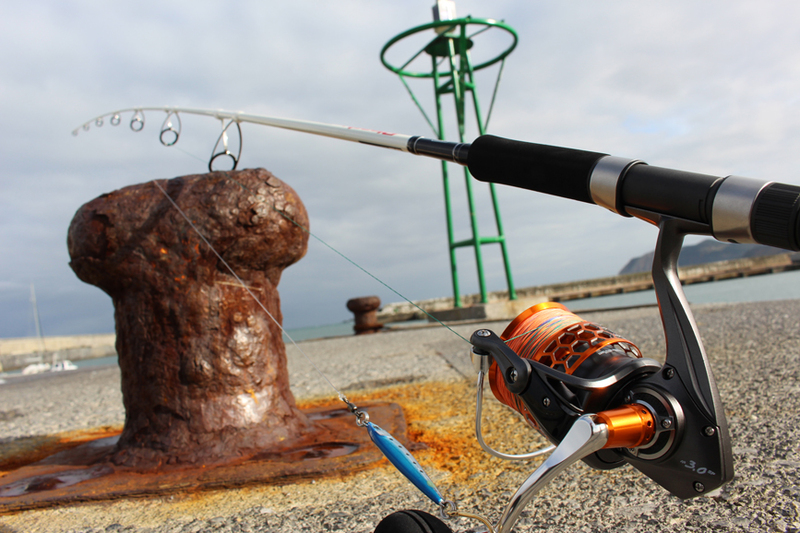 This rod is designed to fish small tuna, normally without going above a limit of 25 kg. A slightly softer action than models 2 and 3, which can be used as a multi-purpose rod for other small-sized coastal predators. 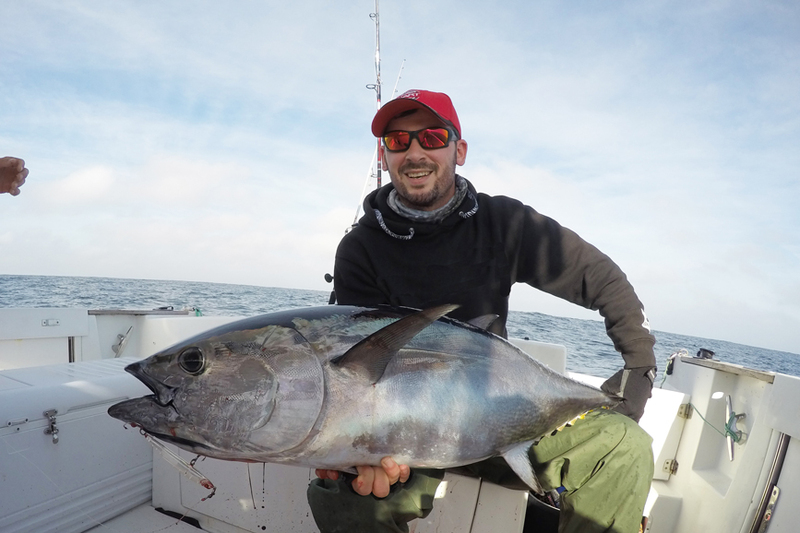 Although you'll have no problems tackling 50 kilo tuna, its action is focussed on smaller fish and for working lures for long periods of time without tiring your back. These are 100% tuna rods. This rod is noted for its great versatility, featuring a pronounced tip action for long casting and a power reserve to land a fish weighing 100 kilos and not to die in the effort. Powerful but lightweight, without becoming the typical stone throwing stick, yet giving you enough room to fish large tuna with no extra effort. It's capable of casting 120g lures with no problem at all and with no need for over-exertion. This is the tuna rod par excellence, simply the best for getting a bite whilst pliable for he "bad" times in the fight under your boat. This is the real thing! This rod is just perfect for tough fishing! It's capable of moving fish weighing more than 100 kilos and even fishing for tropical fish. The longest of the three Popping models, it's been designed for the most extreme conditions to be experienced in our waters. It can cast 150 gr poppers and work them close to the reef, looking for snappers, or an 80 gram pencil bait out to attract Mediterranean tuna. If you're out to catch the big ones, then the Popping 3 is the right one for you! When you first get started in the Popping technique, you're often not sure whether this will be the right one for you. So, if you don't want to spend a lot of money on your first rod, yet don't want to compromise on quality, then the GRAN TUNA is the best option for you. 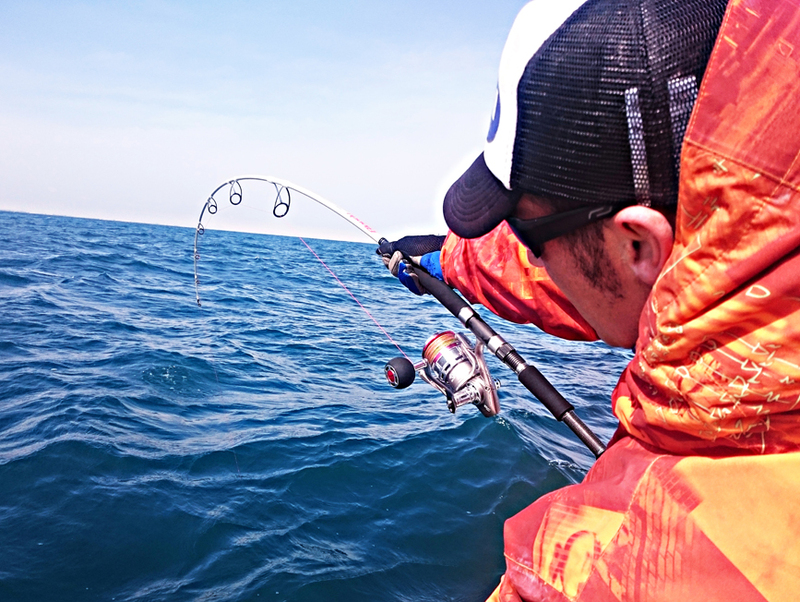 A rod for catching big fish, its perfect range is from 50 to 100 kg, long casting distance with a slow action which allows the blank to bend for long under-boat fights. Rig a HART No 3.0 Special Popping and you'll get some really good equipment for much less than you think.